You can learn energy healing to some degree from The Energy Healing Site. However, if you're serious about pursuing energy healing, it's a good idea to get some training in a live class. There are some things that just aren't easily conveyed in print or video. If you seriously want to learn energy healing, there's nothing like a real, live teacher to convey complex concepts, teach methods, answer questions, supervise your practice, instill ethics and give you on-going support as you develop as a healer. Training can range from the weekend required for Level One Reiki, to multi-year programs. It seems smart to me to start with something short like Level 1 Reiki or beginning Healing Touch, which will give you a taste of energy healing with a relatively small investment of time and money. Links to some of the major energy healing schools and trainers (the ones that I know of and which have good reputations) are listed below. Intuitive Wellness by Laura Alden Kamm. Whatever course of study you pursue, make sure you get a firm grasp of the ethics of energy healing. Learn more about energy healer ethics. Certification and licensing requirements vary from locale to locale. For a discussion of whether certification is necessary in order to have an energy healing practice, click here. Don't wait, the world needs you! You can do healing work no matter what your job. We all have natural healing powers and don't need any special degrees or equipment to be powerful healing forces. But how, you might ask? Learn about that here. You can learn more about different types of energy healing by going to the Types of Energy Healing page. And you can learn a lot by reading around in this growing list of case studies, real-life examples from my practice. 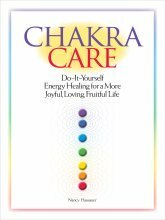 You can also learn from my "Advice to Readers" series, especially in the section about "Energy Healing Issues." If you're wondering, "Am I a Healer? ", this page will both reassure you and encourage you to go deeper with your questioning. Return from Learn Energy Healing to site home page.